Today, we Stand Up Against Bulling! Wear your Pink Shirt proudly #AnnapolisValley! Let’s all work together to create a welcoming and safe school environment and workplace for everyone, every day! Wearing pink shows support for diversity, respect and inclusion. To help send a strong message against bullying in Nova Scotia’s schools, colleges and universities, the province has proclaimed the second Thursday at the start of each school year as Stand Up Against Bullying Day. 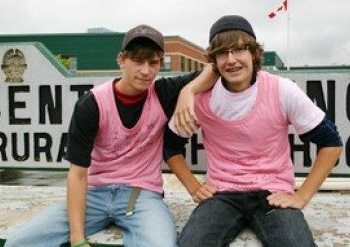 The inspiration for the day came from the actions of Central Kings Rural High School Grade 12 students Travis Price and David Shepherd in 2007, who rallied behind a new student to the school who was being bullied simply for wearing pink.